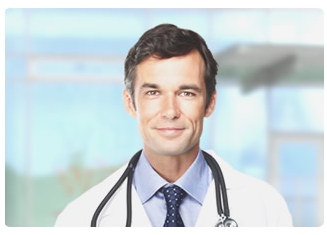 XiMED provides access for physician members to over 20 Health Plan products. All major insurance carriers are included and the contracts are PPO or EPO in nature. In an effort to reduce paperwork for participating physician offices, XiMED credentials all physicians in its network. This provides added value for Health Plans that have awarded XiMED “delegated credentialing status.” In general, guidelines developed by the National Committee for Quality Assurance are followed. Moreover, this procedure ensures that only physicians of the highest integrity and quality are granted membership. XiMED performs a variety of marketing functions to assist the organization and the membership with professional visibility in the community. The website, promotional collateral materials, feature articles about health education, physician profiles, and new technology are continuously presented to the community. Moreover, television and radio appearances are also an important component of the marketing plan. XiMED has negotiated several excellent group purchasing programs for member physicians. New vendors are added quarterly. As the managing partner of the Scripps Memorial/XiMED Medical Center LP, XIMED offers medical space in our prestigious Medical Center. Physicians looking for office space should contact the Administrative Office at 858-452-1279. As the voice for private practicing physicians, XiMED represents the need to maintain autonomy for physicians. The close patient-physician relationship is stressed as an important component of providing highly personalized quality care. Physicians must also remain as the key decision makers in clinical decisions and be involved in the future structure of health care delivery. These positions are emphasized and represented in discussions with hospitals, community leaders, and within the community at-large. A newsletter is sent to all XiMED Medical Group physicians providing up to date information and news about XiMED. If you are interested in becoming a member of XiMED Medical Group or would like more information, please contact Yvonne Montelius, Director of Operations, at 858-452-1279.